Baekhyun looks just like a smol little puppy. 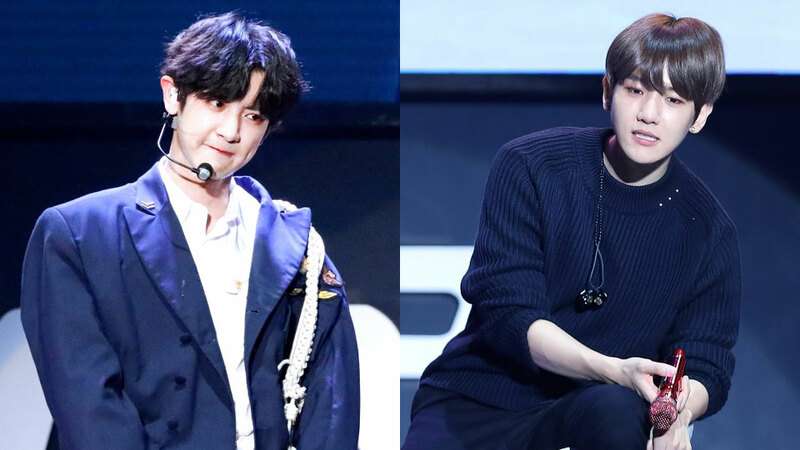 It was all happened during EXO's comeback showcase for 'Don't Mess up My Tempo' on November 2nd. 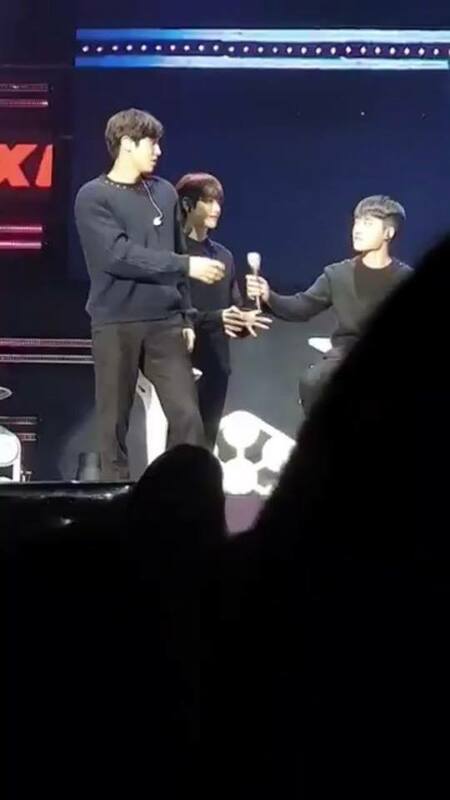 During the event, Chanyeol suddenly came up for the challenge where he had to hold back not to make any sound while the other members tickled him. Before the challenge started, Baekhyun stood behind Chanyeol and fans definitely love the sight. 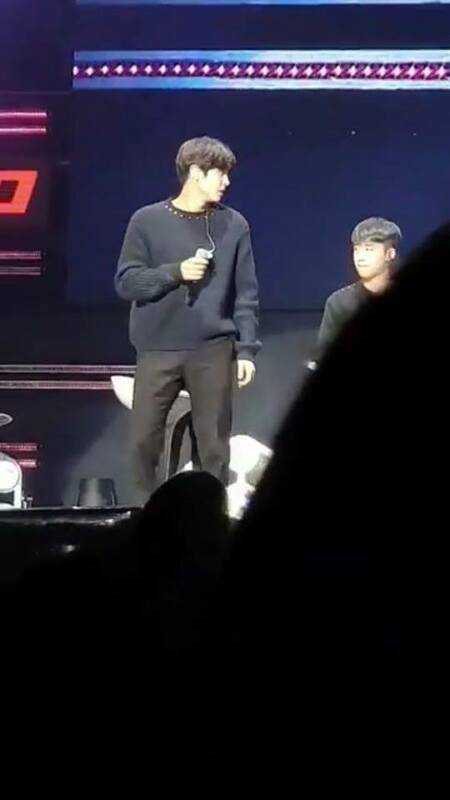 As you can see in the fantaken photos below, Baekhyun could easily hide behind him easily, thanks to his far-smaller posture compared to Chanyeol. According to their official profile, Chanyeol and Baekhyun have 11 cm difference in height -- Chanyeol's height is 185 cm, while Baekhyun's is 174 cm. Anyway, how do you like to see them together, ladies and gentlemen?